Hi everyone. I purchased a ca. 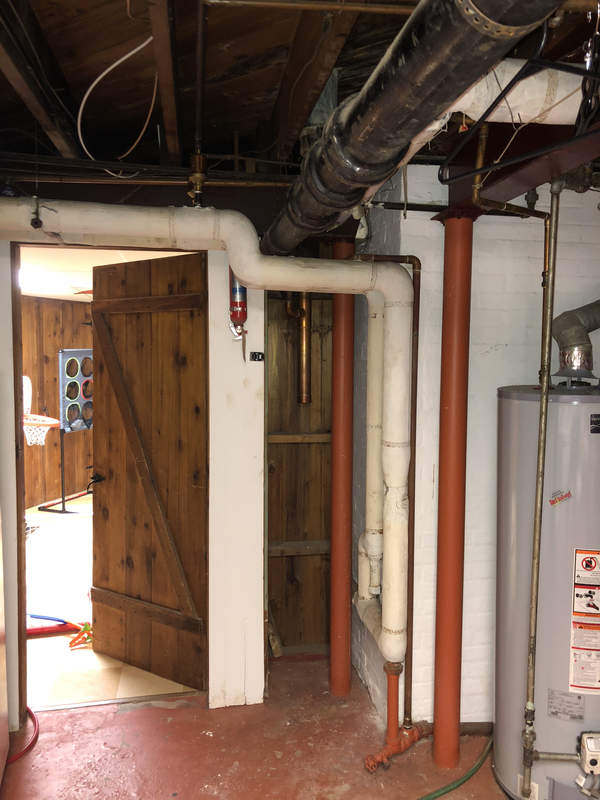 1928 house in Syracuse, NY with a two-pipe steam system last summer 2017. 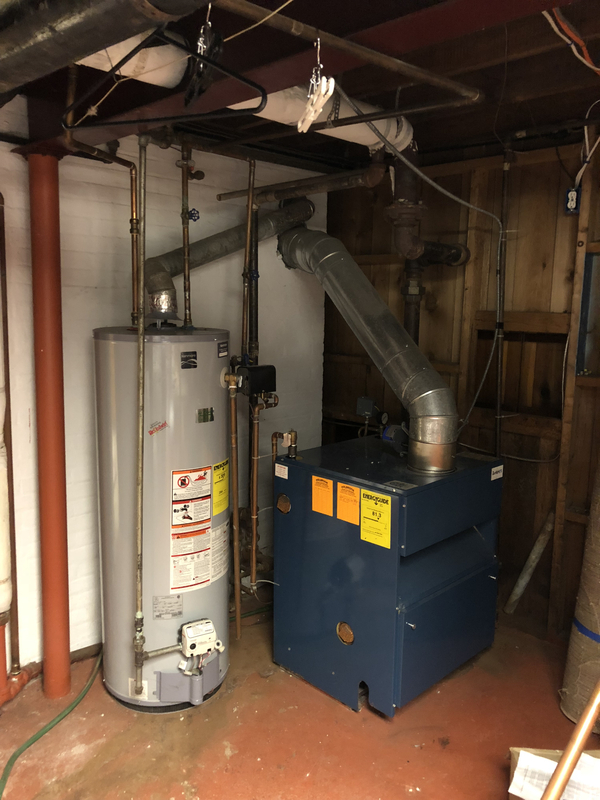 While we knew absolutely nothing about steam heat, we figured we wouldn't have anything to worry about because the boiler was only 5 years old! Well... we were wrong. Our first winter in the house was a loud one. The first heating day last fall, the house wouldn't heat. I phoned the company who installed the new boiler for the previous owners (their sticker was proudly displayed on the boiler). Turns out it was a main steam vent that went bad. A few hundred bucks later, we had heat. Very noisy heat. 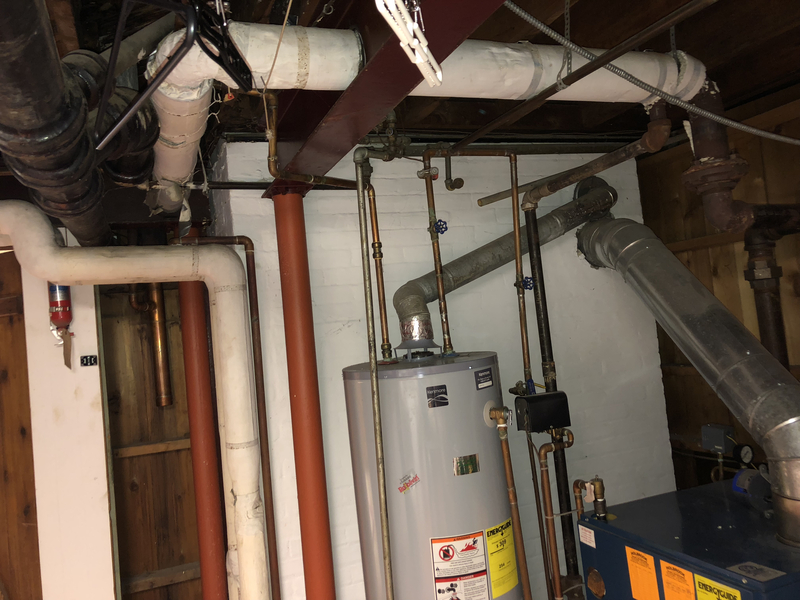 There's an ENORMOUS water hammer in the main line at the beginning of every heat cycle that you hear throughout the house. Also a few of the second floor radiators have their own gurgling, banging and boiling noises each cycle. A phone call back to the heating company was met with the response, "Well, it's steam heat. The noise is the nature of the beast." They expected us to just deal with it. 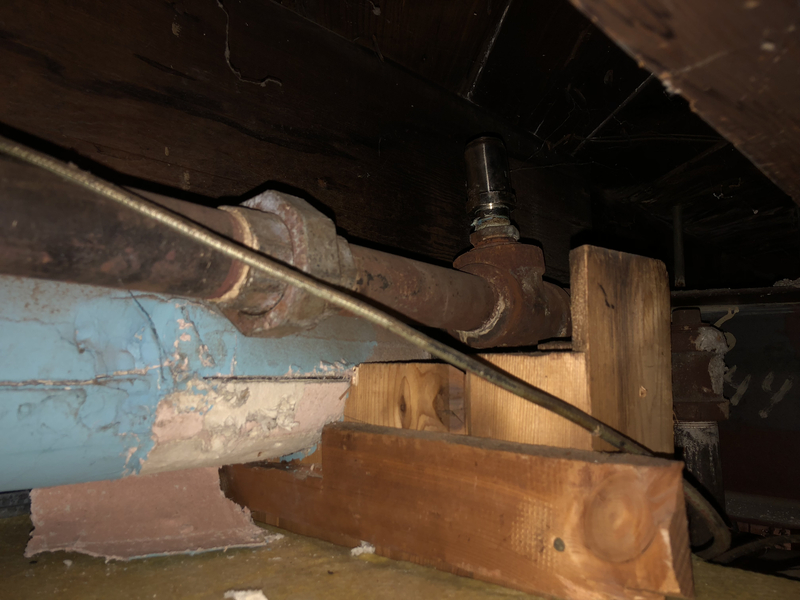 It turns out that the previous homeowners (who owned the house since 1958) spent their winters in Florida and never knew there was a bad water hammer after the boiler was replaced. After living with the noises for almost an entire season, a co-worker mentioned he used to have steam heat in his old house, and gave me the name of a guy he used for servicing his system. An older, retired guy. I called him up, and he said he'd come out to my house to take a look. He came out in late April 2018 when it was still cold here. 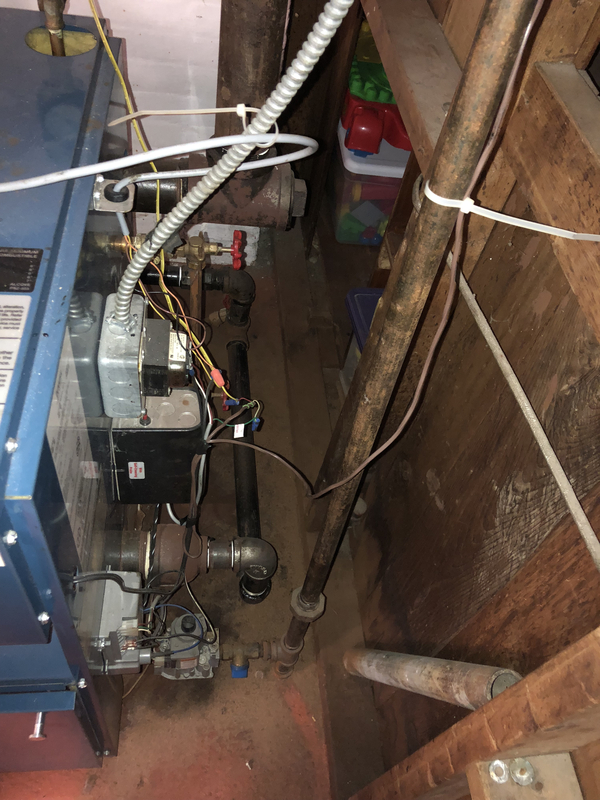 He told me that I have a vacuum system with a Hartford loop, and he told me that the newer gas boiler in my house had a lower water line than the original boiler. He changed out a few steam traps on the upstairs radiators (not with the correct traps), which exacerbated the noise problem. Day 3 on the job, he got sick and said he'd call me back when he got better to replace the radiator traps with the correct ones and get rid of the water hammer on the main steam line. He never did. I found out recently that he ended up passing away. I never paid him, and I still have his ladder and few of his tools, and a couple new parts in my basement where he left them along with a photocopy to a few pages out of "The Lost Art of Steam Heat". Long story short. I have a system that has been modified by knuckleheads over the years, and I need help to bring peace into the house during the heating season. I wasn't able to find a contractor on this website within 100 miles of Syracuse, NY. Anybody know of a contractor in the Central New York area who could help me silence my system? I need a contractor who can help diagnose and fix the noises, and fix anyting that prior knuckleheads have "fixed". Welcome to the best place to get your questions answered. First, order yourself a copy of The lost art and also we've got zsteam heat. Both are available by clicking on the store link above. Next if yo could take several pictures of your boiler and the near boiler piping the experts here will at least be able to recommend where to start. Steam heat can and should be silent. Well.... central New York has seemed to be sort of a dead zone, for some reason, so far as good steam guys are concerned. However -- not to despair. It's likely that there is nothing wrong with your system that you, with the help of an intelligent plumber willing to listen, can't fix with some help from the Wall. We've seen others just as bad, if not worse. First item. Can you take pictures of the boiler from all four sides, showing the controls and the piping in the vicinity? That helps a lot. Second, you mention that the new boiler is lower than the old one. That can potentially cause some real problems which, while fixable, can take some ingenuity. However, sometimes one gets lucky. So... If this is a two pipe system, as you say, there are almost certainly pipes near the floor. These are called wet returns. The trick is that they must stay wet -- that is, nowhere along them can they be higher than the waterline in the boiler. So what I'd like you to do is to wander all over the basement looking at these pipes, and make sure that they are, in fact below the waterline. Pay particular attention to any places where there are vertical lines, called drips, coming down from steam mains or returns overhead. 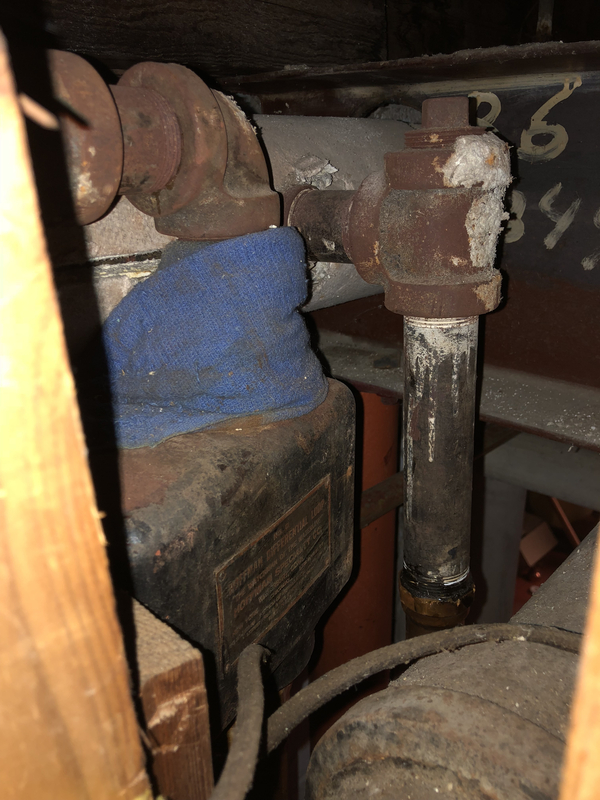 Third, water hammer, particularly at the beginning of a heating cycle, almost always comes from pipes not being pitched properly, allowing condensate to get trapped in them and then pushed along by the steam, resulting in loud noises. So the next thing to do is to look at all the horizontal or near horizontal pipes. You are looking to make sure that none of them sag (you wouldn't think iron pipes can sag, but they can) and that all of them pitch uniformly (it doesn't take much, but you have to have some) to a location where there is a way for the water to drain freely back to the boiler -- one of those drips I mentioned, or sometimes right back at the boiler. At this point kindly take a few more pictures -- the inlet valves of typical radiators, and any traps or appliances on the outlets. Fourth, when the system is running, you can check traps. The idea of a trap is to let water and air out of the radiator, but not steam -- so if the trap is failed shut, the air can't get out and the steam can't get in and the radiator heats poorly if at all. 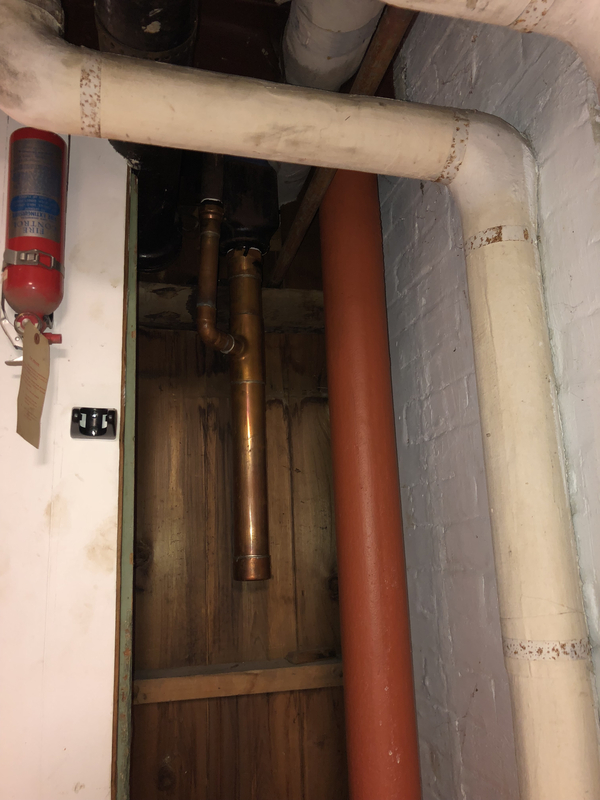 On the other hand, if it fails open, not only water and air can get out, but so can steam -- and the drain pipe coming down out of the trap will be steam (yeouch!) hot, rather than just very warm. Bad traps -- particularly failed open -- have to be repaired or replaced. Last but certainly not least, get yourself your own copy of "The Lost Art of Steam Heating". It's available from the store on this site, and it's not free, but it's worth every penny Erin wants for it and, with careful study, will allow you to become a steam heating expert! Look around for stuff like radiator valves and traps that has original names on it so that we can figure out whose system you have. That helps alot just knowing that. Thanks for some of your input. I purchased a copy of We’ve got Steam Heat and I’m starting to read through it. The radiator traps all say Hartford No 18 on them. 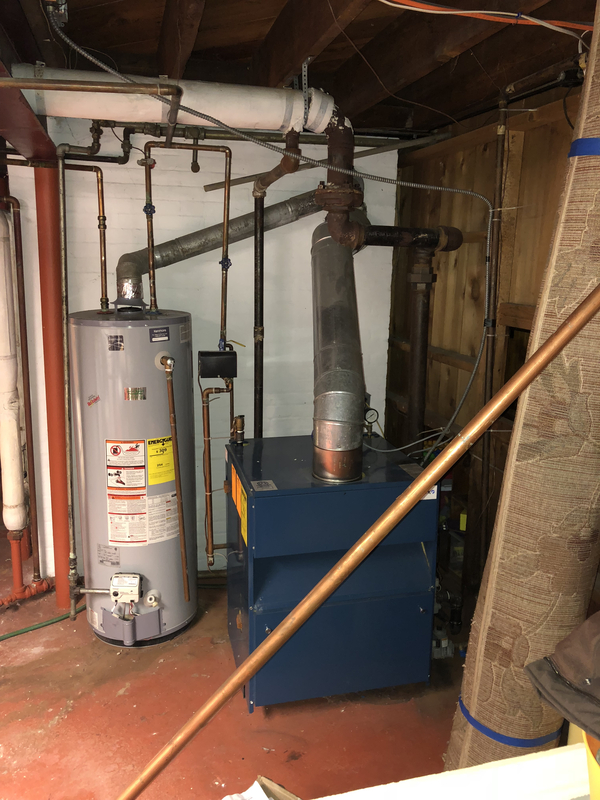 I figured I’d also attach a few pictures of the boiler as you suggested too. Sorry for the quality, it’s a small room that isn’t well lit. I think my main priority is to address the loud water hammer at the beginning of each heat cycle, which seems to come from the Hartford Loop. The main steam vent that was replaced my first heating day in the house was a Hartford No 16A vacuum vent. It was replaced with a Vent-rite No 75 vent. Could it simply be a wrong vent installed? In some of the overall boiler shots, you’ll see two insulated pipes in parallel running away from the boiler. The older gentleman who started working on my boiler before he passed away replaced a Hoffman No 8 return live valve that was piped between those two parallel pipes with two separate Hoffman No 75 main vent air valve, one of them is faulty and just releases wet steam (causes the ceiling to get wet). Not sure what’s appropriate here. The loud banging and clicking and boiling/water flowing in the radiators is another monster. I’m guessing that the steam traps just need to be replaced? I really appreciate the discussion and time helping me! What are you calling a "Hartford loop"? From the pictures, I don't see an equalizer or a Hartford loop. Maybe I just can't see them? Maybe I have my terminology wrong, and I apologize for that. 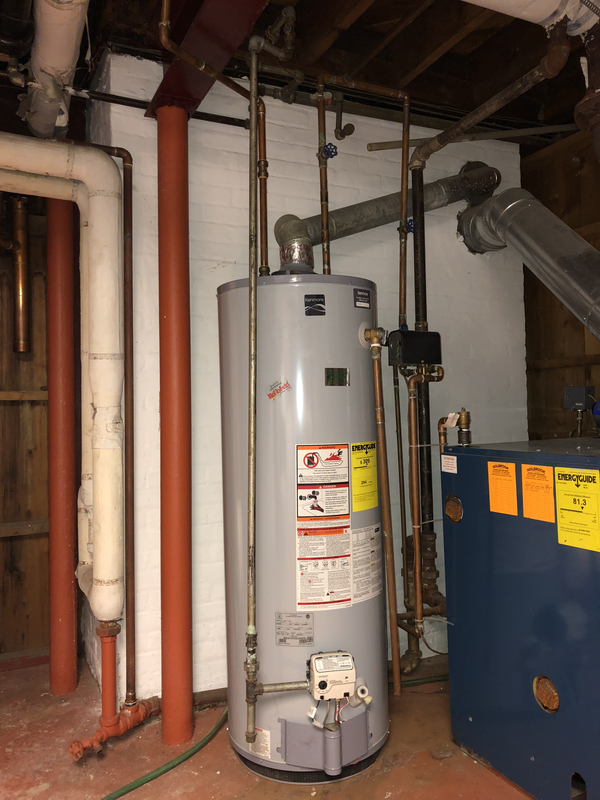 In the boiler room photos, the loop is the large cooper pipe to the left of my hot water tank and to the right of the fire extinguisher on the wall. It’s sandwiched between two floor joists and a partition wall for a finished area in the basement. I got on a ladder and took a picture looking down on it (last photo in my previous comment). The tag on the cast iron part of the loop says “No 0 Hoffman Differntial Loop”. The piping around the boiler is totally wrong. That's a Dunkirk boiler, which is very sensitive to wrong piping. I'd bet water is being carried up into the steam piping, which would at least partially cause the banging. Looking at the 3rd picture on the left side list....5CC9C747 etc. The main looks to be a counterflow with a drip on the bottom of it. This might be a 2 pipe counterflow with a Hoffman Differential Loop. "And now for something entirely different" ...perhaps. Twiggyjay, does the steam main run up hill away from the boiler with the end of it being the high point of the steam pipe? That is so any water in it would drain back towards the boiler? Have you checked with the local steam fitter union office in Syracuse to find a licensed steam plumber?? Another option could be Isaac Plumbing and Heating. I believe you have Hoffman 18 steam traps never heard of a Hartford 18. In case that's correct, you need PN 2211 from Barnes and Jones to repair those traps. You do not need to replace the entire trap, just the internal parts. Pretty easy to do. I'd also call FW Webb for pricing, they are a large B&J distributor and probably have them in stock. "In some of the overall boiler shots, you’ll see two insulated pipes in parallel running away from the boiler. The older gentleman who started working on my boiler before he passed away replaced a Hoffman No 8 return live valve that was piped between those two parallel pipes with two separate Hoffman No 75 main vent air valve, one of them is faulty and just releases wet steam (causes the ceiling to get wet). Not sure what’s appropriate here." That No. 8 was properly called a crossover trap. The 75s will work there, but it would be better to replace it with the no. 8 again -- assuming that there is a vent on the return line at the boiler. Thanks @JUGHNE I do see the Hartford loop, tied into that drip. That boiler needs an equalizer, along with other near boiler piping corrections though.